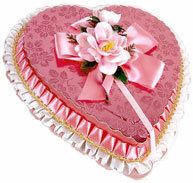 Flowers, hearts, cupid, candy, kittens, balloons, roses, bears and more for Valentine's Day. 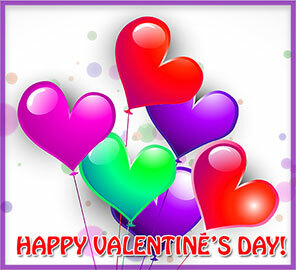 You may use our Valentine's Day clip art to enhance your website. Simply download the gifs of choice and upload to your server or storage space. Animated graphics are Gif files. Clipart images may be Gif, PNG or JPEG files. Happy Valentine's Day Cupid and bow. Valentine bear with hearts and balloons. Cupid dripping with a plan for love. 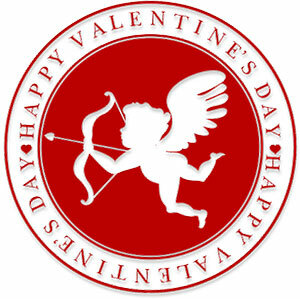 Animated heart with cupids arrow. Be safe, it's raining love animation. Red Valentine hearts with love. 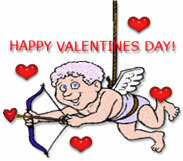 Cupid going the extra mile for love. Be mine heart with wings. Be Mine Valentine with funny face. Valentine heart and arrow animated. Be mine with Valentine Heart balloons. 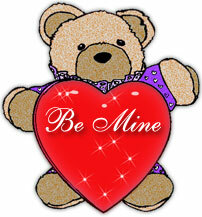 Teddy Bear with Be Mine heart. Two red roses for Valentines. Heart with roses and diamond. Fancy box of Valentine chocolates. 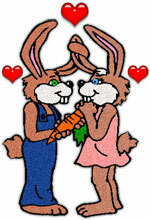 Two rabbits in love on Valentines Day. 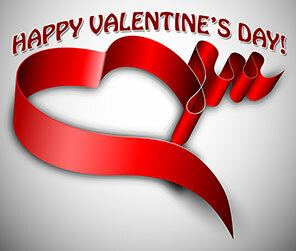 Happy Valentine's Day with animated hearts. 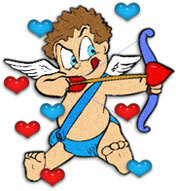 Happy Valentines Day with cupid and his bow. Cute bears with heart and a little animation. Heart with a big smile animation. 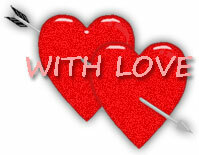 Cupids arrow and a heart in love animation. 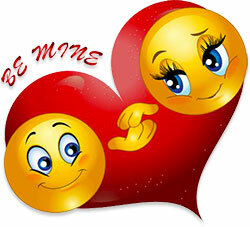 Be Mine with large heart. Heart man with baby blues. 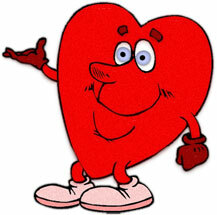 Happy Valentine's Day with heart balloons. 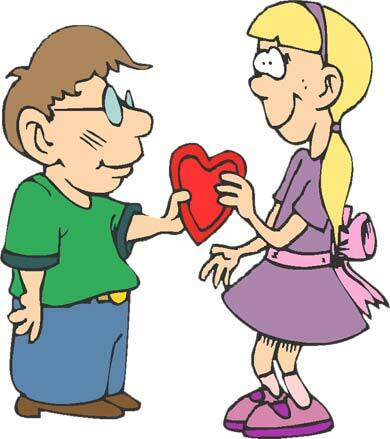 Girl and boy exchanging valentine. Vector clipart image 390 x 439 pixels. 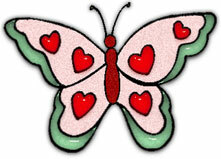 If you save and use our Valentine clip art please give us credit. Thank You.